Just 1/2 block to the beach and Washington Street Mall. Hear the waves at night while sleeping. 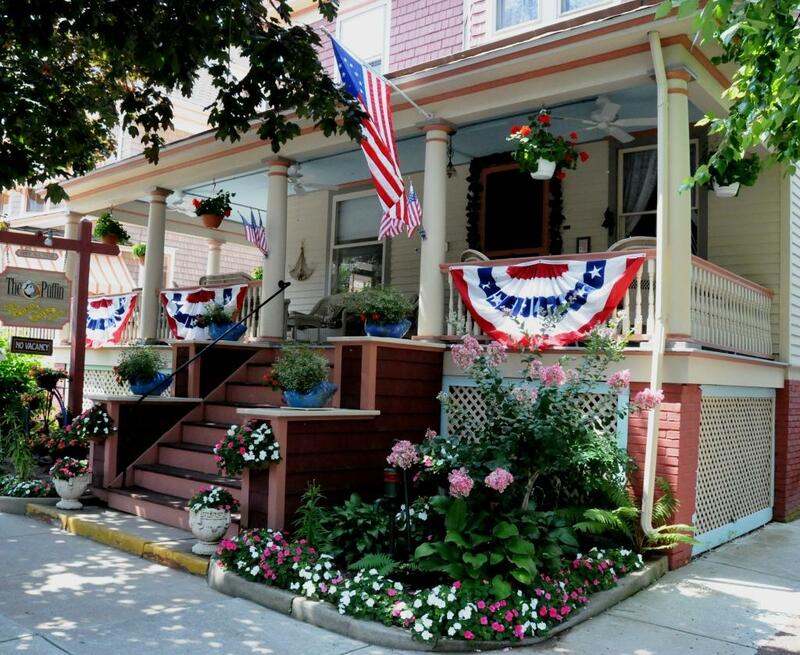 The Cape May Holly Suite is a Cape May vacation rental located on historic Jackson Street in Cape May New Jersey. We are located at the Cape May Puffin Suites, just 1/2 block to the beach and 1/2 block to the famous Washington Street Mall in Cape May, New Jersey. Our newly renovated suite features one bedroom, one bath and a beautiful kitchenette and an Ocean View Roof Deck. Cape May Holly Suite sleeps 4 comfortably. The Holly Suite offers free parking and beach tags for your entire stay. Our front large wrap around porch with wicker furniture offers the best view of Historic Jackson Street. Our guests can watch the horse carriages, trolleys and people travel the scenic street. Our street is gas lit at night to offer the perfect ambiance for sharing special times with friends and families. Our private roof deck is the perfect escape for guests of the Holly Suite. The roof deck is private and can only be accessed through the suite. Enjoy a cup of coffee in the morning or a glass of wine at night under the stars while listening to the ocean waves. The Holly Suite offers all of the charm of yesterday with the modern amenities of today to make your stay a perfect and enjoyable one. The Holly Suite offers a beautiful sitting room/sun room addition. Our sitting room addition is perfect for reading your favorite book and relaxing with the ocean breeze and the sound of the waves. 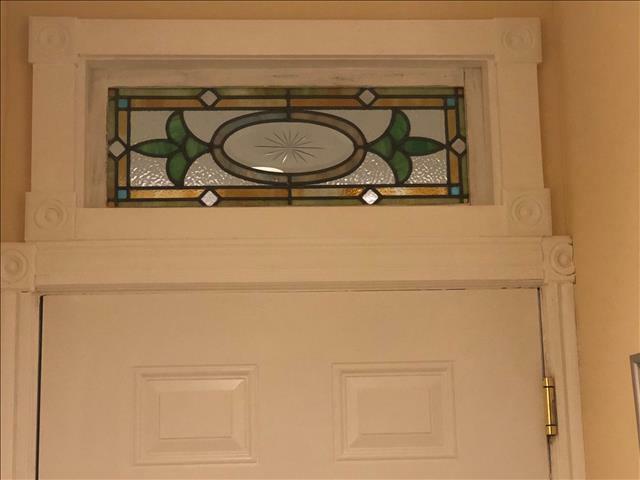 The addition is also used as a second bedroom as it offers privacy with a an antique leaded glass door and a full sofa bed. 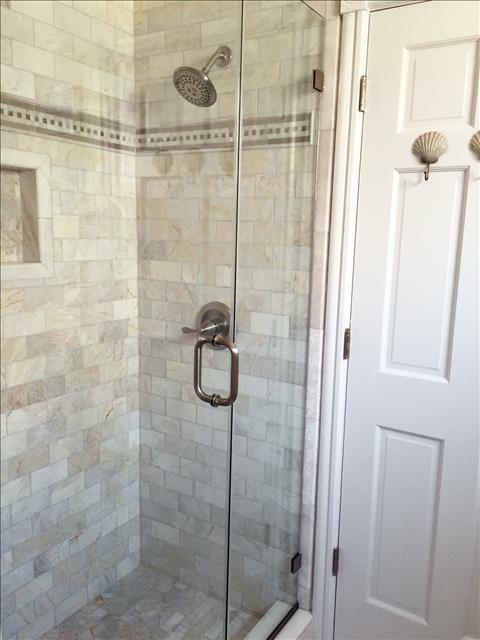 The bathroom has been completely remodeled with a large custom marble tiled shower and floor. 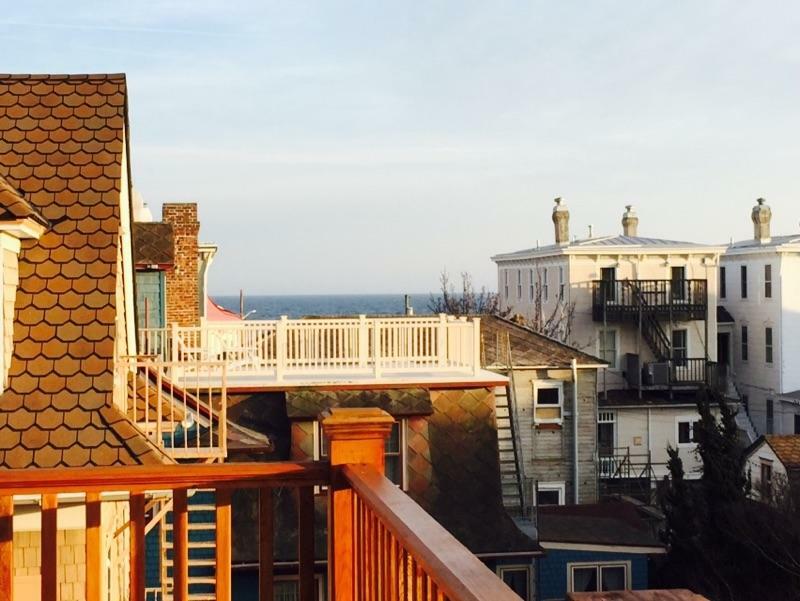 The Holly Suite Cape May vacation rental also has a beautiful private roof deck with wonderful ocean views. 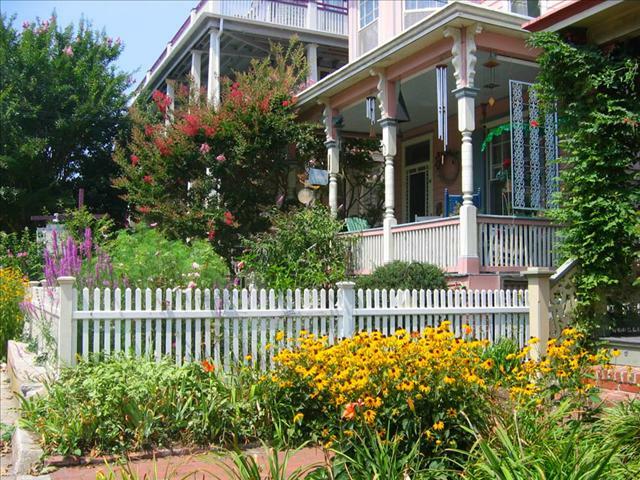 Our condominium is open year round and is one of Cape Mays most historic and distinctive vacation rental properties. We are child friendly , smoke free. The Holly Suite comes with central air conditioning to keep you cool on those hot summer days down at the shore. The Holly Suite also offers an electric fireplace to keep you warm and cozy during the off-season months. 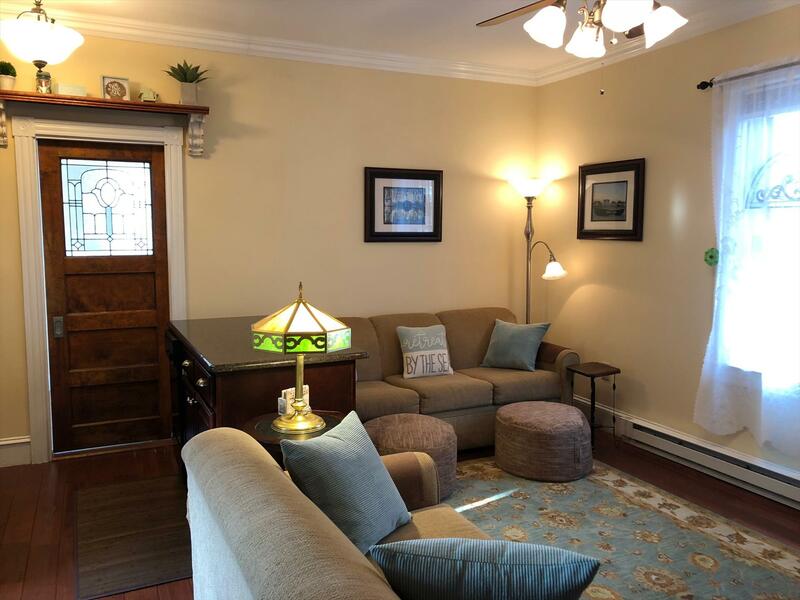 The suite also features a queen size bed in the bedroom, queen size sleeper sofa and a matching twin sleeper for extra guests in our living room. 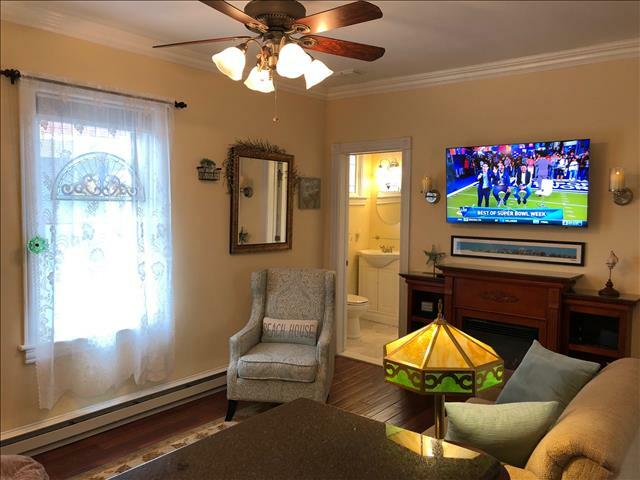 The living room also has a 50 inch QLED TV in the Living Room for your enjoyment and TV in the bedroom. Location is everything when choosing a vacation destination. 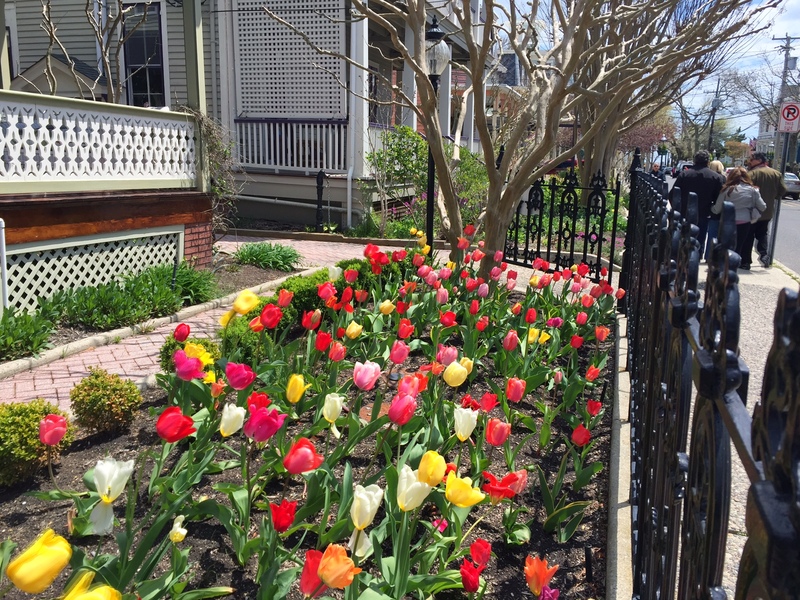 Jackson Street is the most historic (first) street in Cape May. 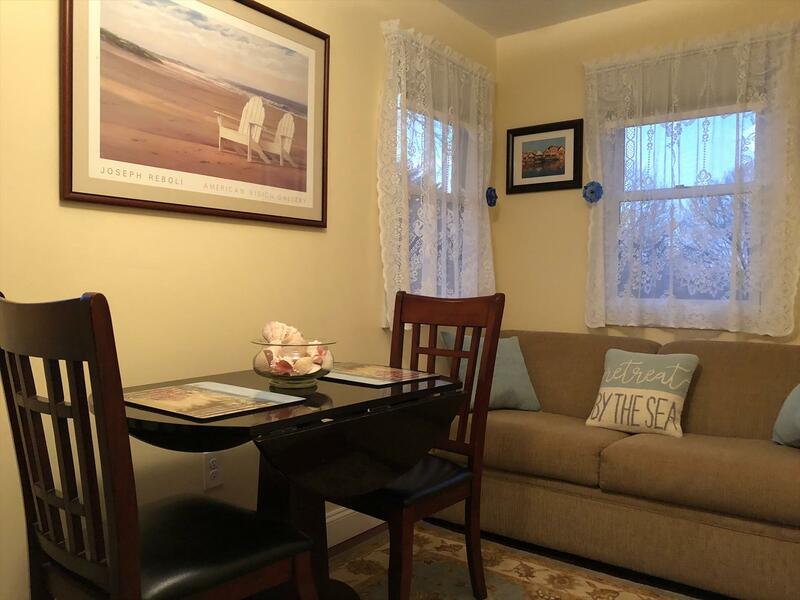 Our Guest love how close The Holly Suite at Cape May Puffin Suites is to everything. Our Guest come back year after year for one simple reason. 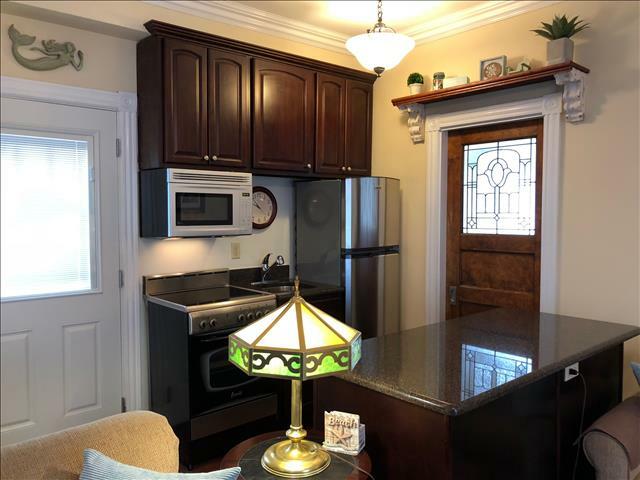 It doesn't get any better for a one bedroom Cape May vacation rental. A few steps down the street and your at the beach. A few steps up and your in the middle of the Washington Street Mall. Lovely condo with everything we needed for our stay, perfect view, weather cooperated , beach days great, and lovely owners whom we are grateful to for sharing their adorable homestead with us! I woul...read more. What a delight to have had the opportunity to stay at the Holly Suite for our anniversary! This little gem was everything you could want in a vacation spot. We had nothing to worry about from the ...read more. It was our first time to Cape May. We couldn’t have picked a better place to stay. I loved the sun room. My favorite of course is the rooftop deck. There were no issues with our stay at all. Would abs...read more. Spent a long weekend in the Holly suite and couldn’t have asked for a better experience. The condo was spotless and nicely furnished. Thoroughly appreciated thoughtful amenities such as beach tags, pa...read more. I have been going to Cape May my entire life. There are so many beautiful places to stay at and we've stayed at some of the best. We used to stay at the Puffin before it was turned into condo suites, ...read more. What a wonderful birthday weekend spent in historical Cape May. 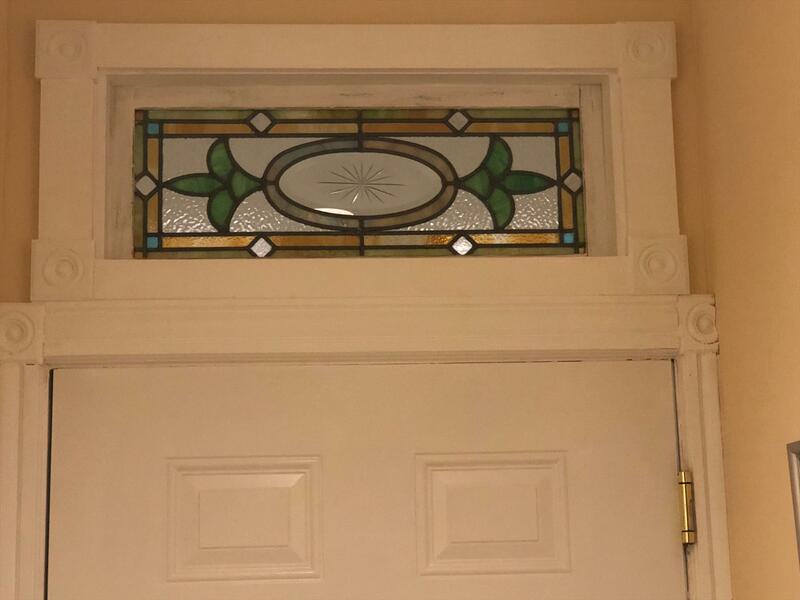 The Holly Suite located in the Puffin House on Jackson St. is beautifully decorated. 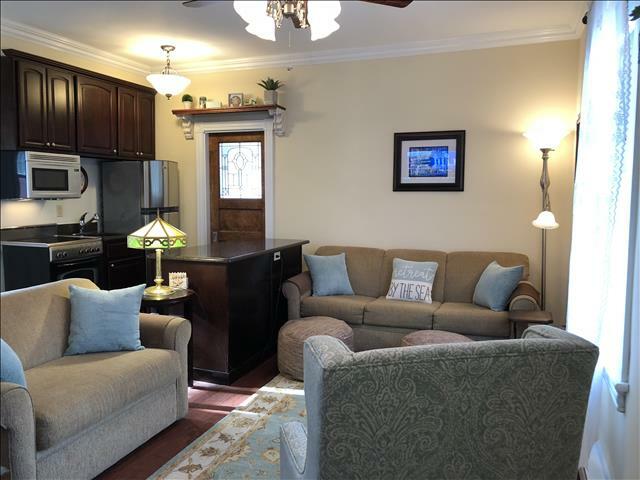 It is warm and cozy with all updated amenities. We ...read more. This was our first trip to Cape May and we are so glad we chose the Holly Suite in the Puffin. The location was superb! Easy walk to the beach, dining, the pedestrian mall. We lacked nothing in the ...read more. The Holly Suite located in the Puffin on Jackson Street was perfect for our family getaway! The Suite itself was beautiful, and provided all necessary amenities. 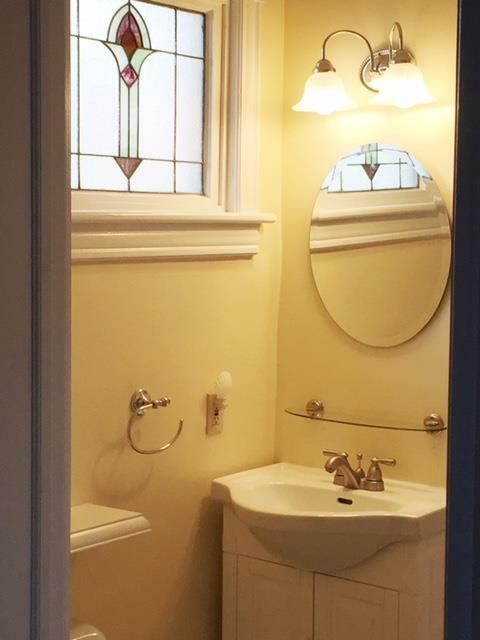 Everything was spotlessly clean and ve...read more. Beautiful location and the owners are so kind and organized. My wife and I stayed for our first anniversary and it was perfect. It's right on Jackson street so you can walk to almost everything. 10 mi...read more. The Holly Suite is top notch and a GREAT value! I've worked in the travel industry for 26 years. I've stayed at many places including condos and vrbos. I have to say this was one of the top 3 "en suite" stays booked via VRBO. The Holly Suite i...read more. The Holly Suite Cape May vacation rental offers a private roof deck with views of the ocean and historic Congress Hall. 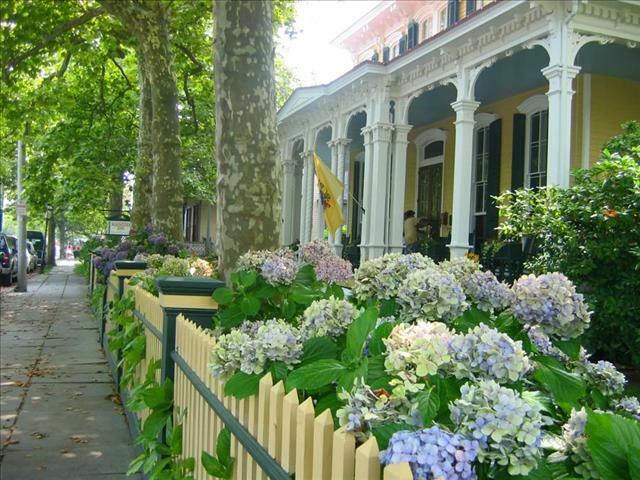 We are locate near many Bed and Breakfast establishments in Cape May. 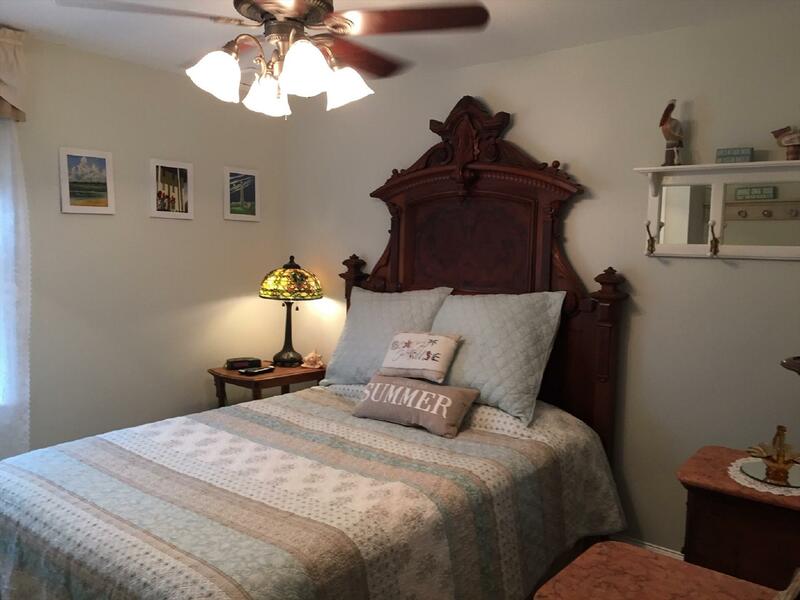 We offer 2-7 night vacation rentals on Jackson Street in Cape May.The Holly Suite comes with central air conditioning to keep you cool on those hot summer days down at the shore. The suite also features a queen size sleeper sofa and a matching twin sleeper for extra guests in our living room. The new addition sitting room can be used as a second bedroom as it offers a private door and a sofa bed with memory foam mattress. The living room also has a 50 inch HDTV TV in the Living Room for your enjoyment. The living room also has a beautiful electric fireplace for cool evenings to stay nice and warm. 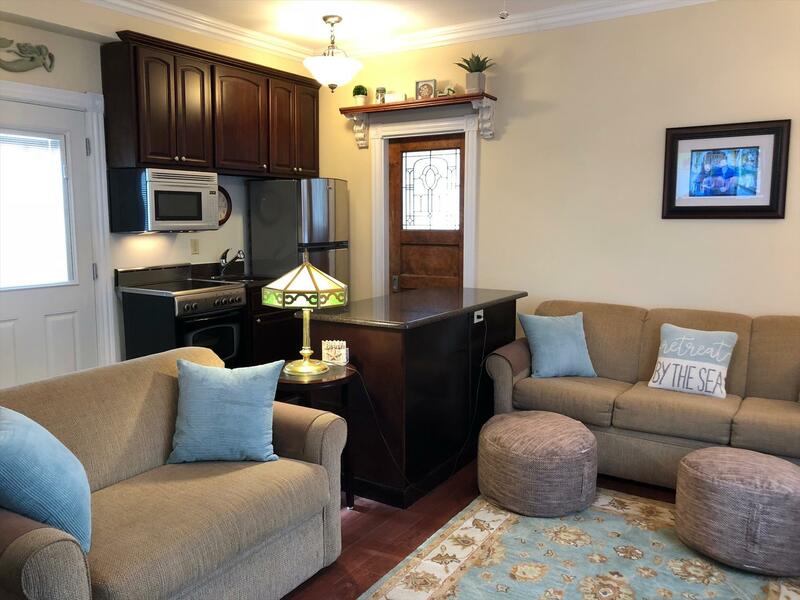 If you are looking for a beautiful one bedroom unit that comfortably sleeps four with all the amenities of home, the Holly Suite at Cape May Puffin Suites is an excellent choice. The Holly Suite Cape May vacation rental does not allow smoking or pets. To keep our home beautiful for your enjoyment, a cleaning fee of $75.00 is charged per reservation. Please review our rental lease during the reservation process for complete details on our rental policies including occupancy limits and check-in times. *Please note the State of New Jersey now requires all owners of transient rentals (vacation rentals) collect tax on all rentals. The effective tax rate is 11.625%. On October 1, 2018, the state of New Jersey passed legislation mandating taxes that must be paid by tenants who rent in Cape May. The taxes include 6.625% NJ Sales Tax, 5% NJ Occupancy Tax for properties within Cape May. Taxes are in addition to rental fees. 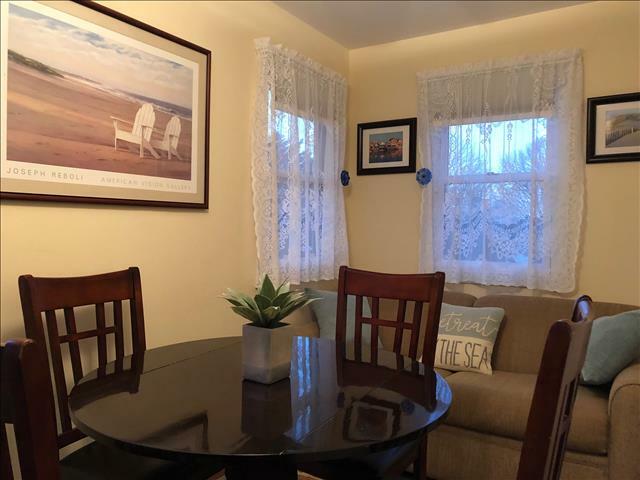 During the Summer Rental season 6/08/2019 to 9/14/2019 we require a 7 night minimum stay, Saturday to Saturday. We have a two and three night minimum stay policy depending on the season. Please view the Booking and Availability calendar for daily rates. Atlantic City Expressway to Garden State Parkway South. Route 95 South (NJ Turnpike) to Garden State Parkway South. Walt Whitman Bridge, Route 676 South, Route 55 South, Route 47 South to Garden State Parkway South.